Daryl Quitalig - For Shaw Media Calvin Thomason (left), 17, assists Steven Coutteau, 18, with his cap before Richmond-Burton Community High School's Commencement for its Class of 2015 at Richmond-Burton High School on Sunday, May 24, 2015. 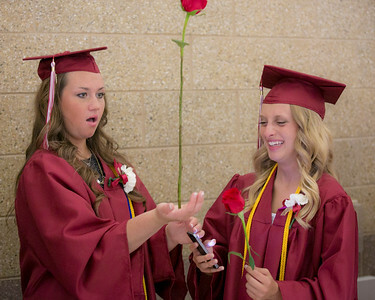 Daryl Quitalig - For Shaw Media Sara Swanson, 18, receives a low-five from fellow graduate Jangle Rietschel, 18, upon arriving to her seat at Richmond-Burton Community High School's Commencement for its Class of 2015 at Richmond-Burton High School on Sunday, May 24, 2015. 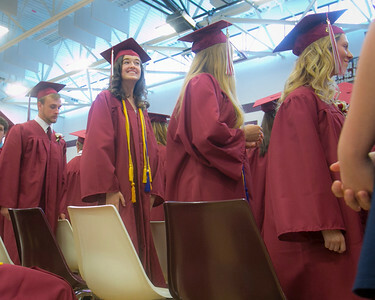 Daryl Quitalig - For Shaw Media Tally Blanton (right), 17, laughs after noticing Cassy Blaschak's, 18, method for keeping keeping occupied while in line before Richmond-Burton Community High School's Commencement for its Class of 2015 at Richmond-Burton High School on Sunday, May 24, 2015. 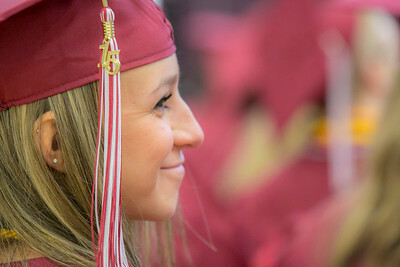 Daryl Quitalig - For Shaw Media Arielle Wzientek, 18, smiles to Marshall Woodward (not pictured) during Richmond-Burton Community High School's Commencement for its Class of 2015 at Richmond-Burton High School on Sunday, May 24, 2015. Daryl Quitalig - For Shaw Media Richmond-Burton Community High School Valedictorian Dominick Burlini gives an address to his fellow graduates during Commencement at Richmond-Burton High School on Sunday, May 24, 2015. 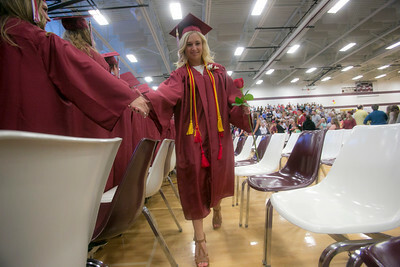 Daryl Quitalig - For Shaw Media Rebekah Galla walks and receives her diploma holder during Richmond-Burton Community High School's Commencement for its Class of 2015 at Richmond-Burton High School on Sunday, May 24, 2015. Daryl Quitalig - For Shaw Media Marshall Woodward, 18, takes in fresh air, cooling off at a door in the library after Richmond-Burton Community High School's Commencement for its Class of 2015 at Richmond-Burton High School on Sunday, May 24, 2015. 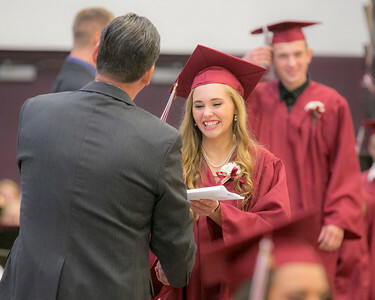 Daryl Quitalig - For Shaw Media Brittan Semler (center) smiles to the crowd during Richmond-Burton Community High School's Commencement for its Class of 2015 at Richmond-Burton High School on Sunday, May 24, 2015. 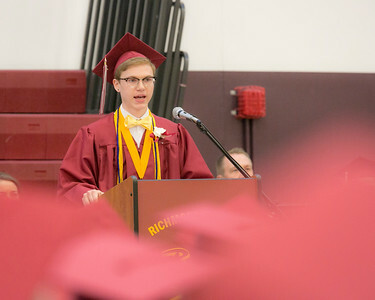 Richmond-Burton Community High School Valedictorian Dominick Burlini gives an address to his fellow graduates during Commencement at Richmond-Burton High School on Sunday, May 24, 2015.